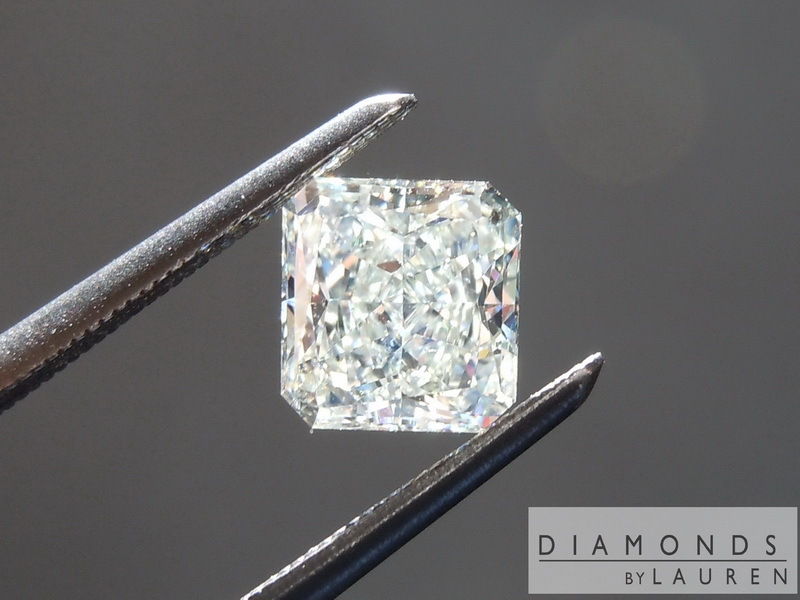 Although GIA graded this diamond Fancy Light Yellowish Green, I see it as a light blue diamond - and that is not a bad thing. 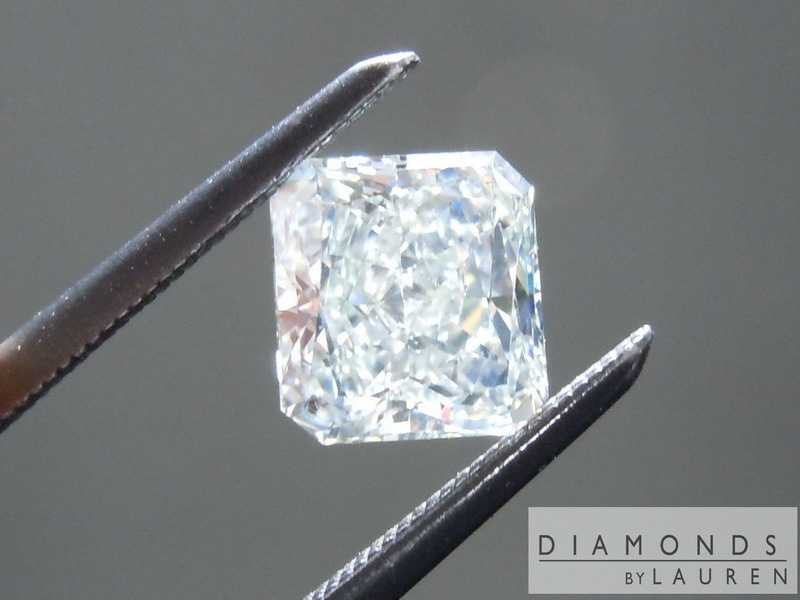 The Medium Blue Fluorescence kicks in under pretty much all lighting scenarios bright enough to illuminate the actual body color of the diamond. 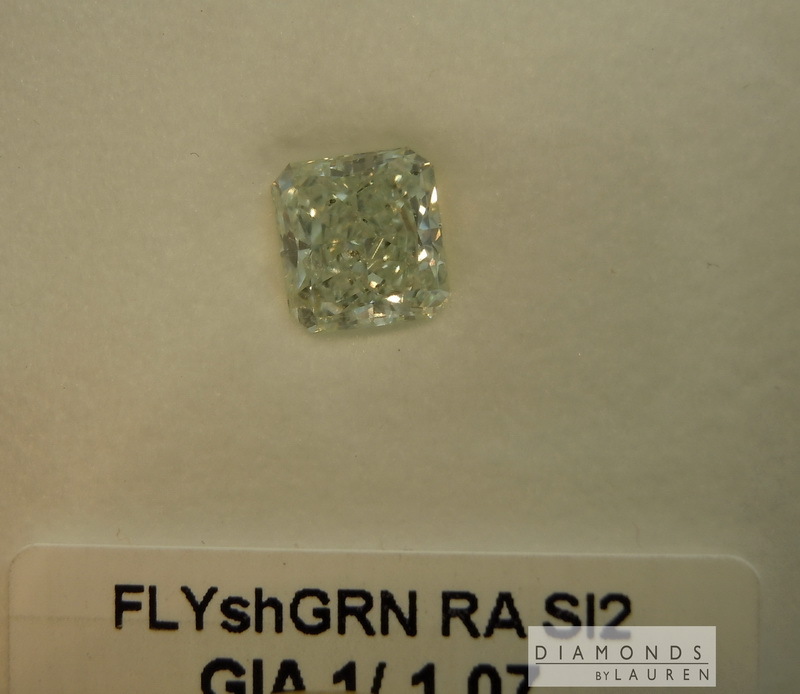 Since GIA grades based on the body color in lab conditions - as opposed to real life lighting, which is why they determined this diamond to be green. Truth is, it is a light color and blue and green are close. So it's both. I think a pink halo will do wonders for this guy in both cases. 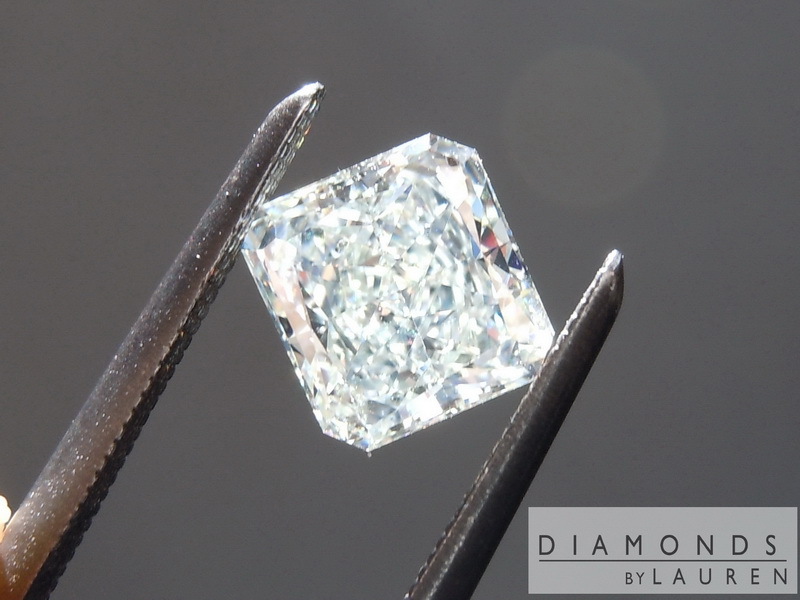 Really nicely cut fancy colored diamond. 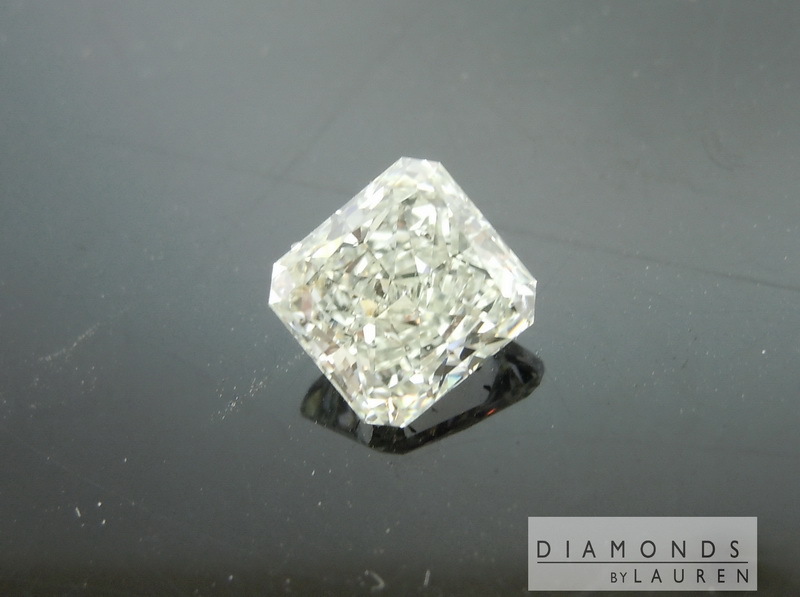 Even sparkle.- no dark areas.The stone looks large for a 1.07ct. 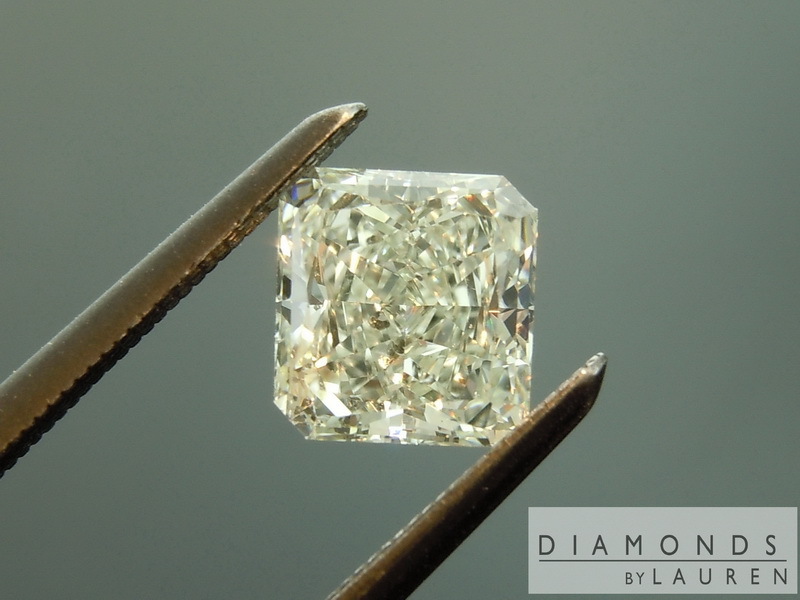 The stone is SI2 - but lest you think that's an automatic visual minus, it's not. There's a few small "gardens" of carbon crystals, but they are each very tiny. 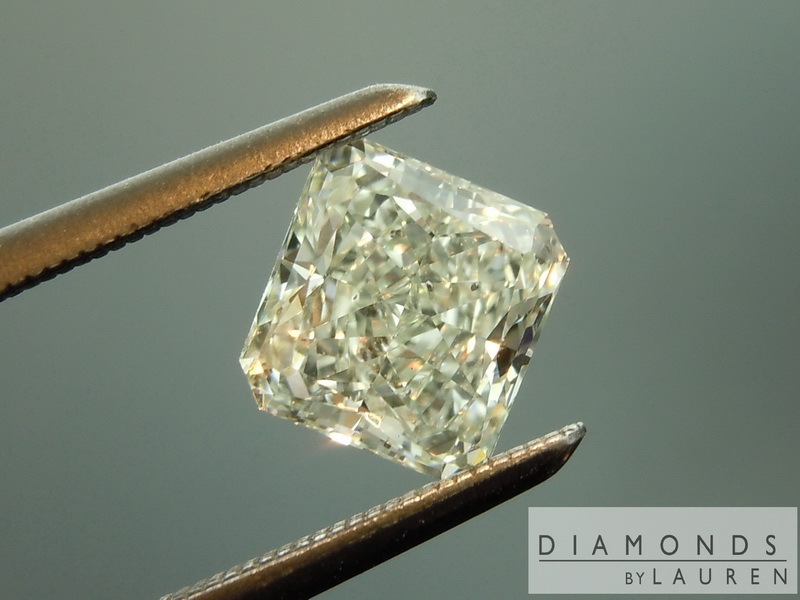 The nature of the tiny black crystals in this case renders them pretty much invisible. The photos we publish are taken with a macro lens, which is a magnifying glass, so they're more close up than a human can see. I can't spot the carbon in the pics - or in real life. 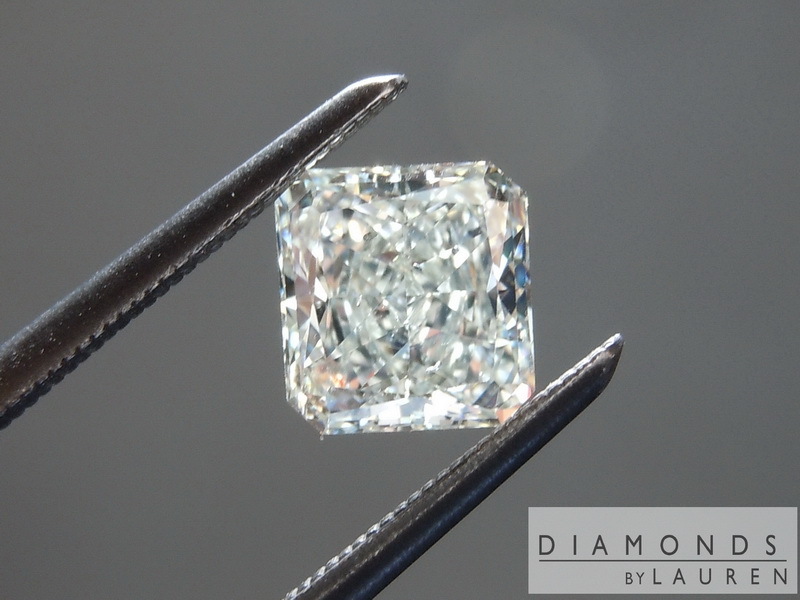 Also a fact that diamond is this color range commonly possess some carbon crystals. 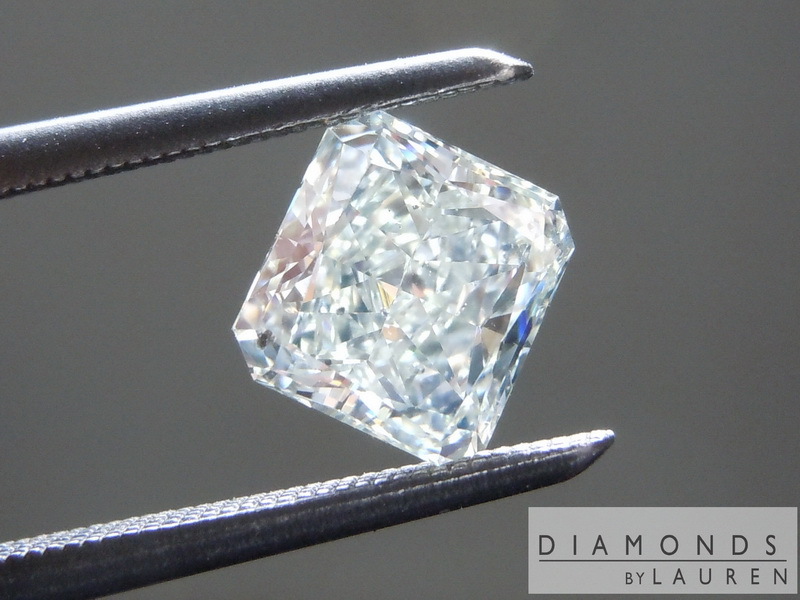 The stone will look great in a setting.